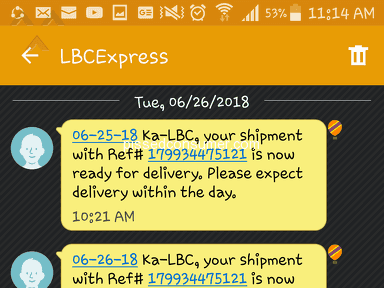 i ordered through an online shopping site something for my boyfriend's birthday.. the online seller shipped my order to Cebu through LBC express last June 22, 2018..
Related: LBC Express - LBC- MARIKINA-CAINTA DEL TEAM. 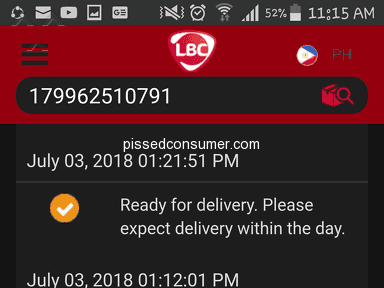 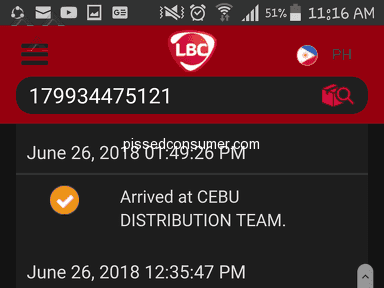 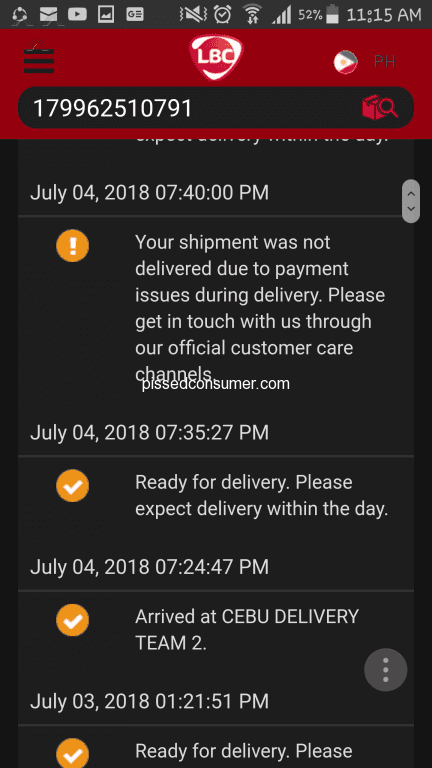 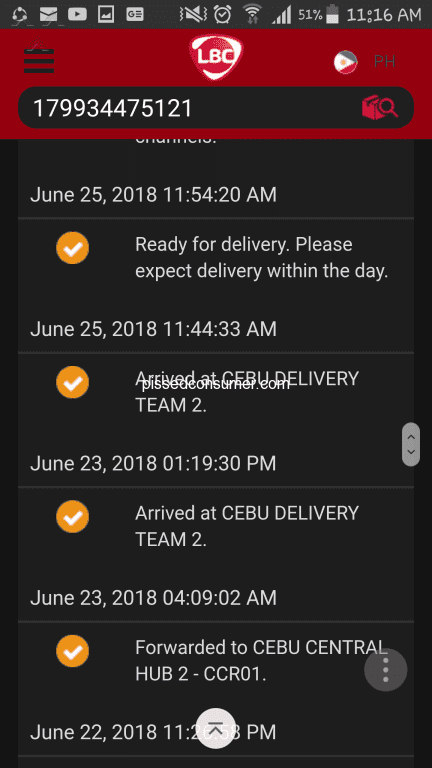 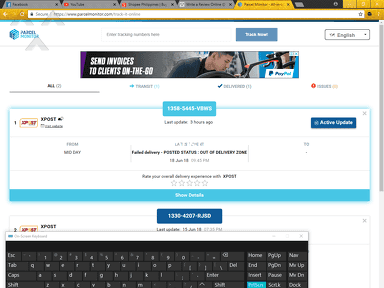 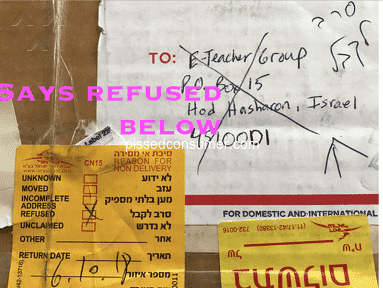 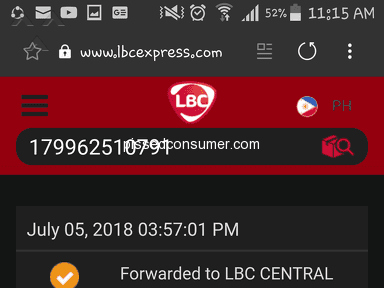 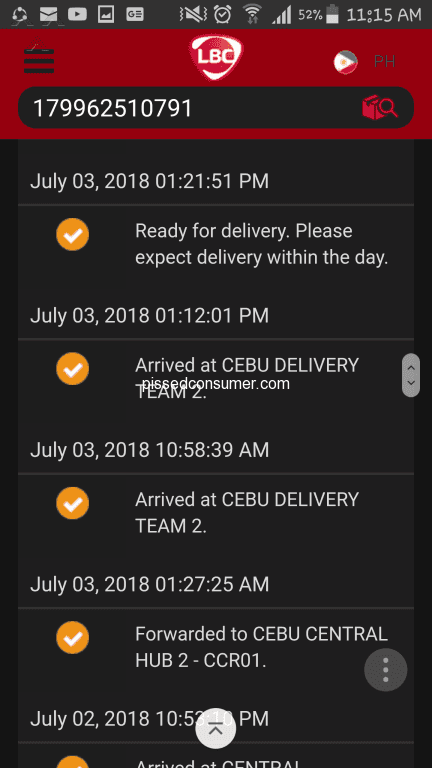 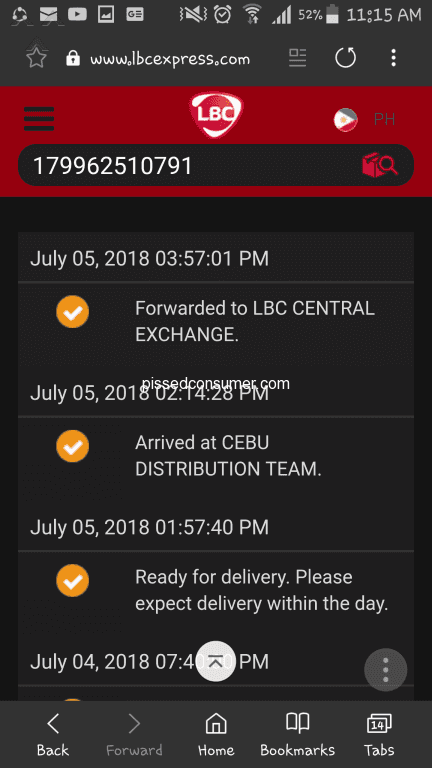 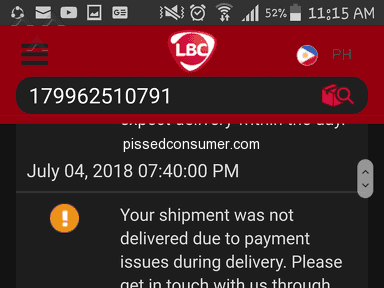 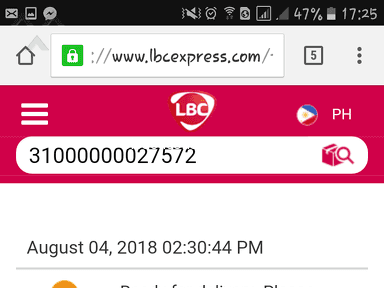 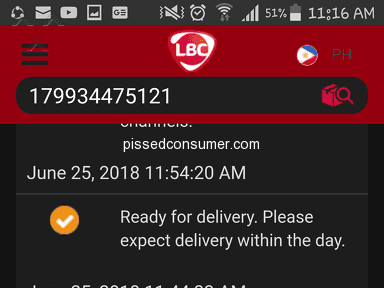 "LIARS"
the tracking # was 179934475121.. i received a text message from LBC computer system last June 25, 2018 that my shipment is ready for delivery and i should expect delivery within the day but it didn't arrive.. i received the same message last June 26, 2018 but again, it didn't arrive.. i kept on sending LBC track and trace and i was really surprised last June 29, 2018 that they already forwarded my shipment to Manila..! 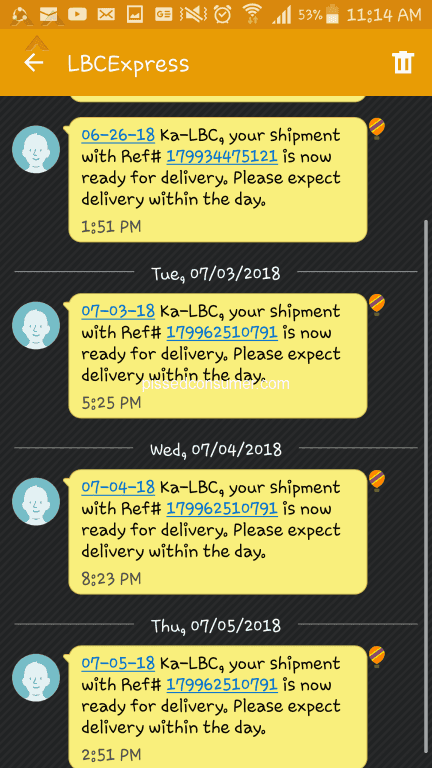 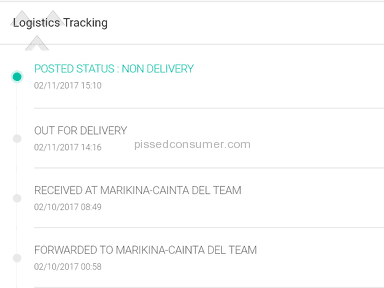 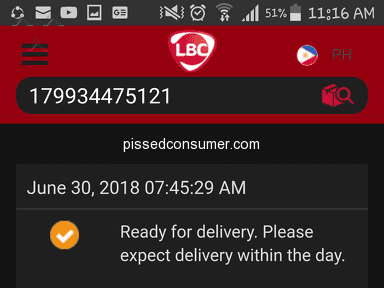 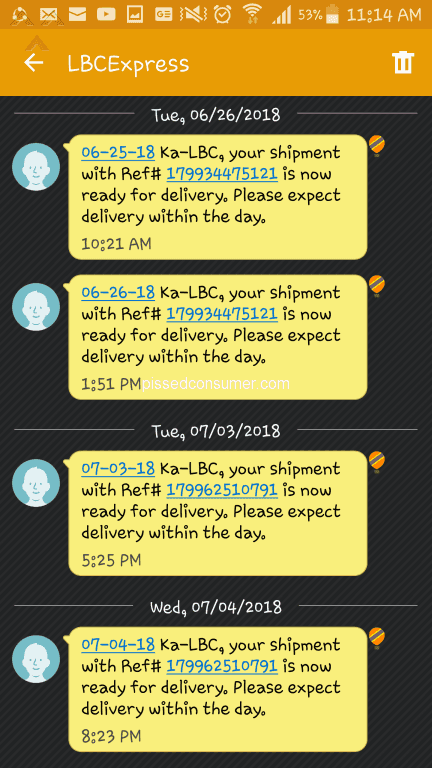 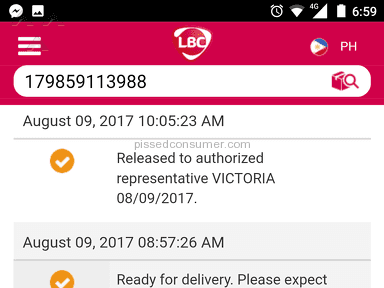 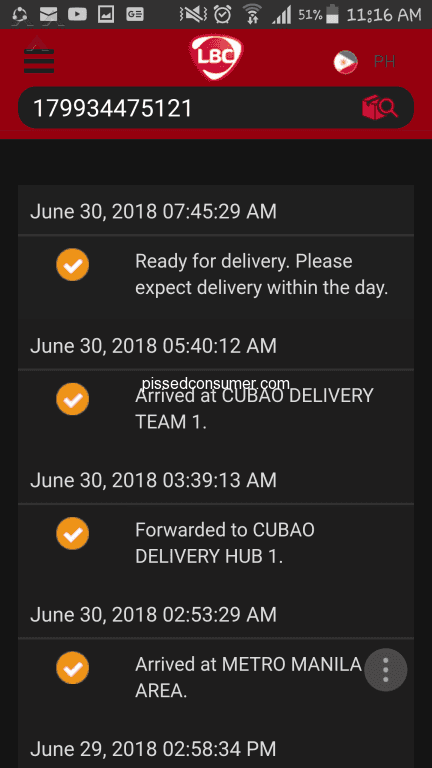 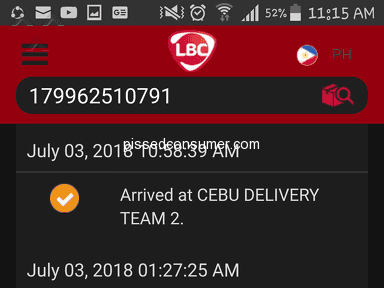 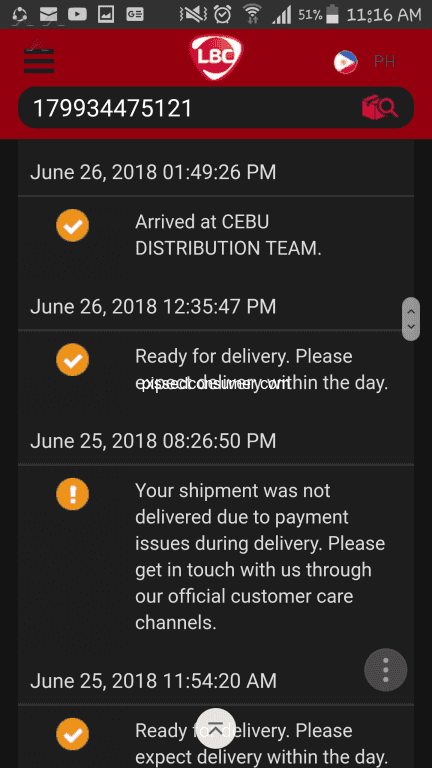 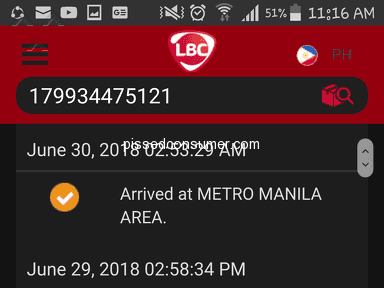 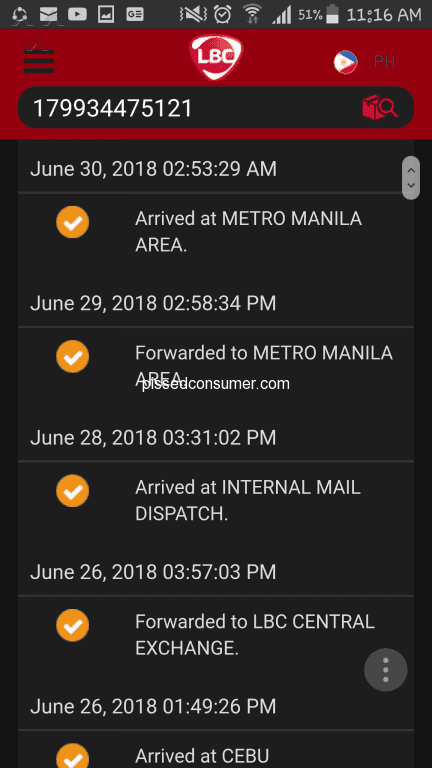 i was in the area from 7AM to 6PM the whole week and i even told our security guard that i am expecting a shipment from LBC.. usually, LBC's delivery man will inform the consignee upon his arrival to the area but i didn't receive any message.. i called LBC's customer service twice as soon as i saw your posted update and they told me that they will make a report but nothing happened as it was returned to the online seller.. the online seller shipped it again last July 2, 2018..
with the tracking # 179962510791.. i received the same text message from LBC computer system that my shipment is ready for delivery last July 3, 2018.. i waited but as expected, it didn't arrive.. they posted last July 4, 2018 that shipment was not delivered due to payment issues..
and i received the same message again last July 4 and 5, 2018 and until now (July 6, 2018), it didn't arrive.. i called the customer service hotline yesterday and told me that he will make a report about it but i think my parcel will be returned to sender again (for the 2nd time) because it is now forwarded to LBC CENTRAL EXCHANGE..!!!! 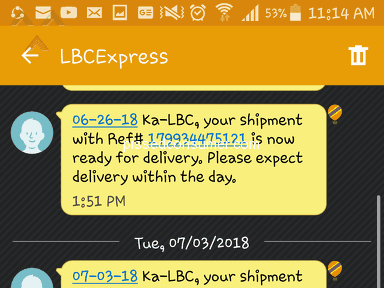 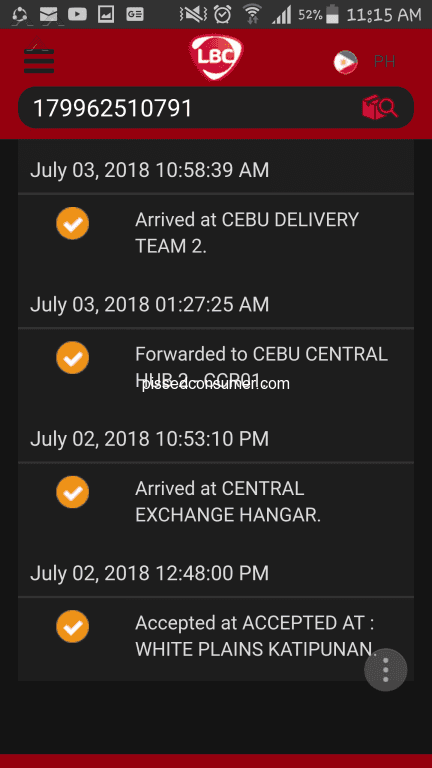 my area is not difficult to find since it's a famous university's address in Cebu and i stated the address completely (even the floor and name of the building) and the online seller wrote my cellphone number on the parcel..
we are paying right and we deserve the right service.. i thought LBC is HARI NG PADALA but i think LBC is HARI NG KAPALPAKAN..!!! 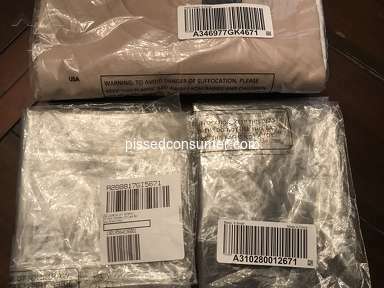 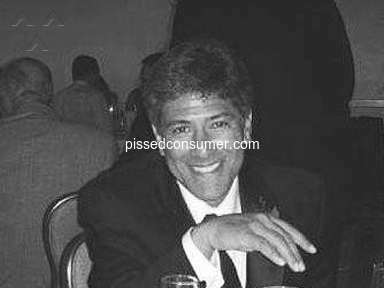 Review #1296669 is a subjective opinion of PissedConsumer1296669.